A contractor for Cotton Utilities Constructors, Inc. was electrocuted when preparing to help replace this utility pole at FM-3126 and Nickerson Road. 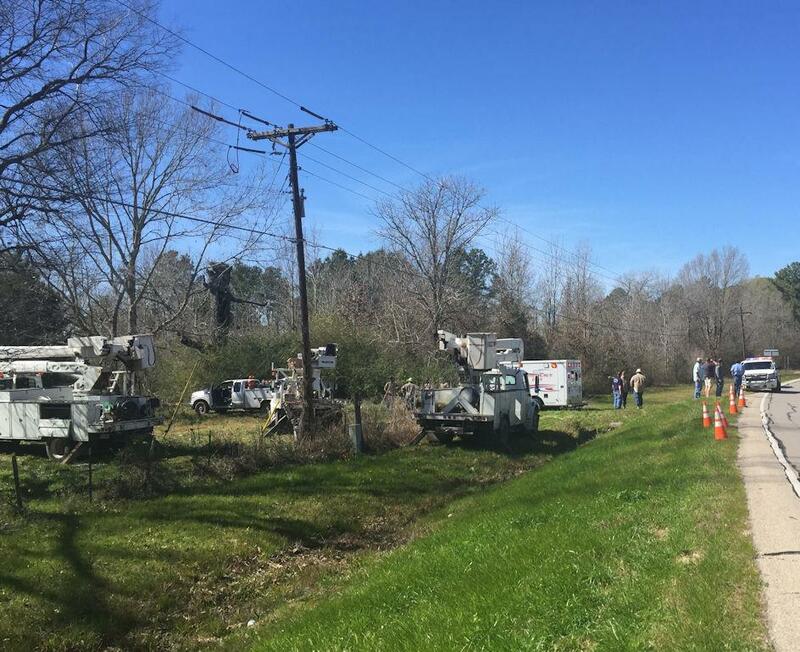 Contractor Shocked, Flown to Houston, LIVINGSTON, February 16, 2016 - At approximately 12:30 pm on February 16, 2016, a contractor with Cotton Utilities Constructors, Inc. was electrocuted in his bucket truck off FM-3126 at Nickerson Road. 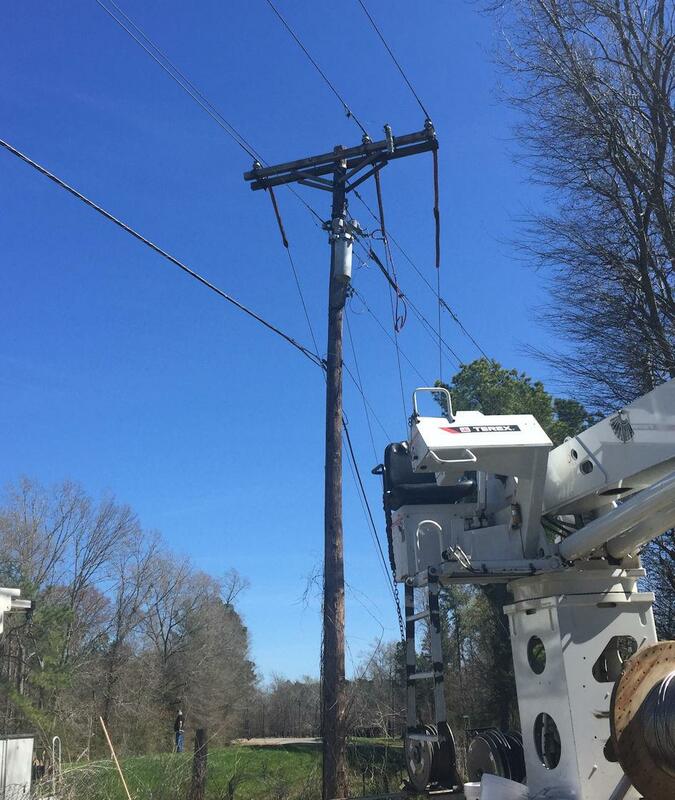 Thomas Russell Ferguson, 56, of Shepherd, was in the bucket of his bucket truck and working on an old utility pole, preparing to replace the old pole with a new pole. Ferguson got too close to a live wire and over 7,000 volts of electricity arced through his right elbow and exited through his left hand. Ferguson collapsed in his bucket but remained conscious and called out to his coworkers. Americare Ambulance Service was dispatched to the scene along with the Livingston Volunteer Fire Department and Deputy Terry Valka with the Polk County Sheriff's Office. 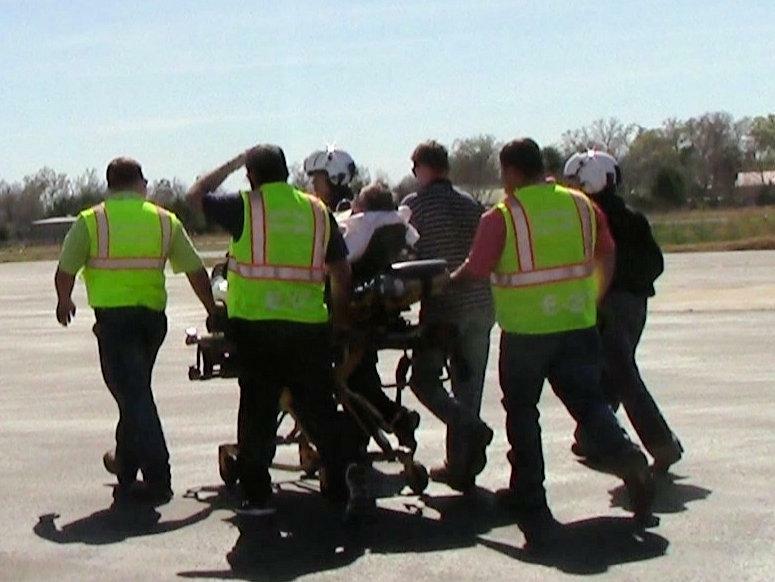 Ferguson was treated at the scene and transported by ambulance to Livingston Municipal Airport where a PHi Air Medical Helicopter landed and transported him to Hermann Hospital in Houston. Ferguson's injury is believed to be non-life-threatening. Ferguson was in a bucket lift, working on this pole when he was electrocuted. 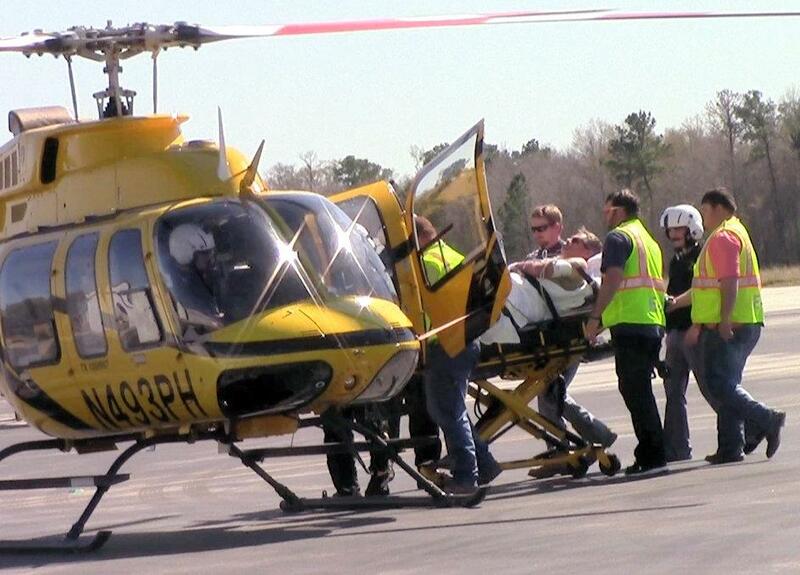 Ferguson is wheeled out to a waiting PHi Air Medical Helicopter. 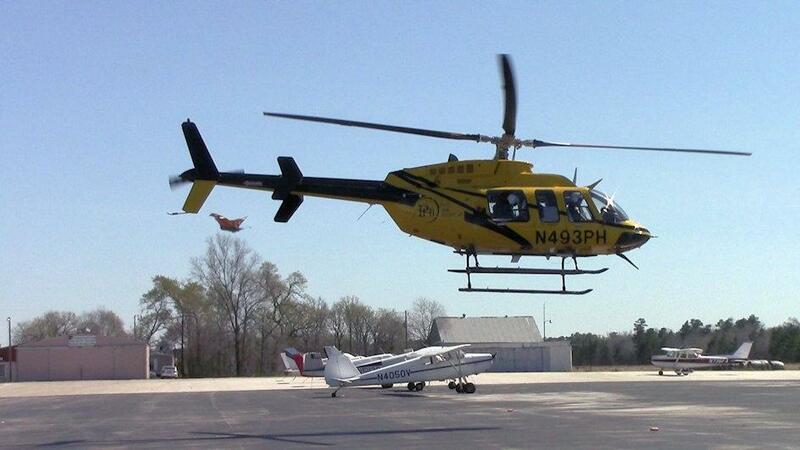 PHi Air Medical lifts off from Livingston Municipal Airport and heads for Houston.